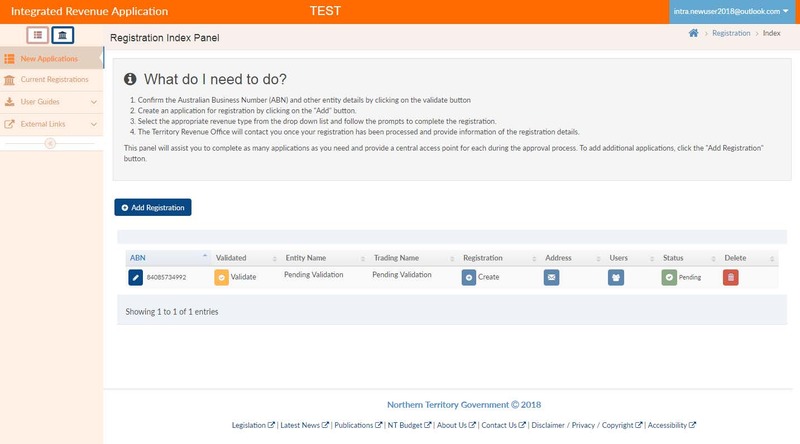 Step 3 - You will be taken to the New User Registration screen and must complete all fields. Once the fields are completed, you must click on ‘Register’. Step 4 - You will receive the following email to your nominated email address. Step 5 - You will be advised that your email has been confirmed and provided with a link to the Log-in page. 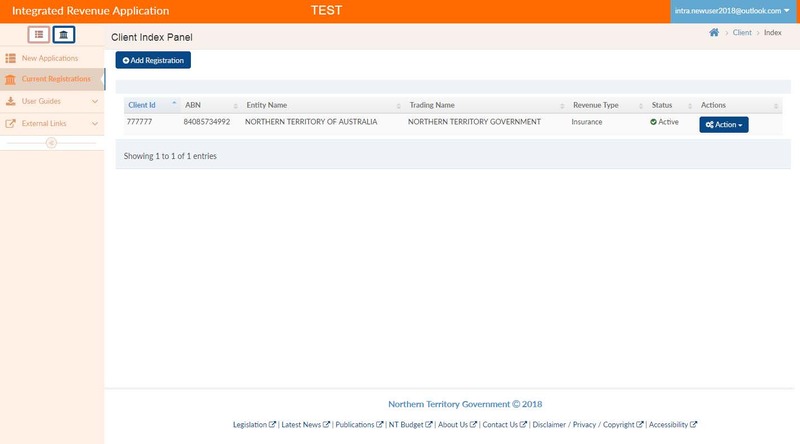 Step 6 - Once signed into INTRA, you will need to validate the ABN you are seeking to access. 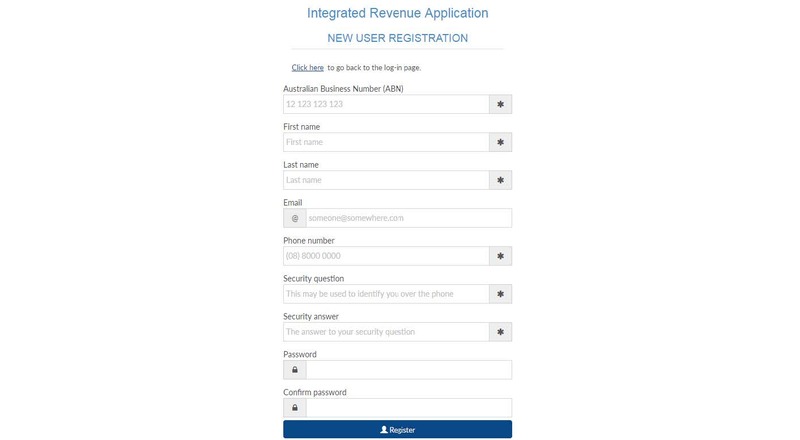 Step 9 - From the Register Revenue Type page, please select the revenue type you wish to register for from the drop down menu. Please ensure that you select the correct revenue type. If you are unsure or wish to confirm which you should select, please call our office anytime on 1300 305 353. 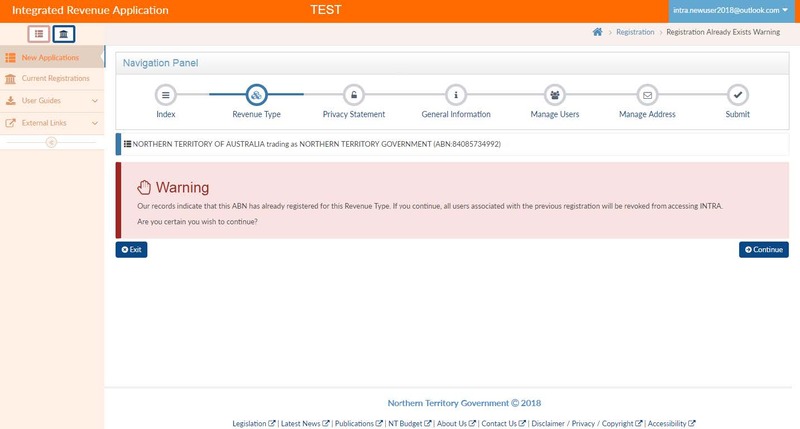 Step 10 - Once you have read and understood the information on this screen, you must click on the toggle button appearing after ‘I have read and understood the warning and privacy statement” to change it from No to Yes. Once changed to Yes, click on ‘Next’. 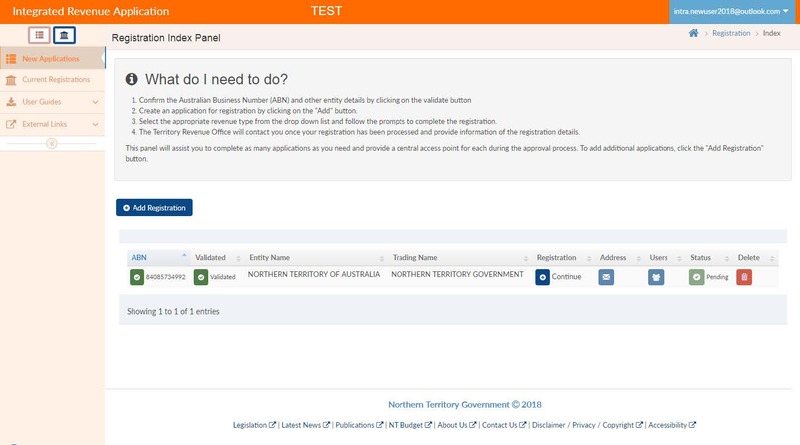 Final step - As the ABN for the entity you are accessing is already registered in the INTRA system, you will be presented with the following screen. Please do not be alarmed by this message, it simply appears as you are now the very first new user to register as a user for this entity/revenue type. Congratulations! You have completed a request for user access. 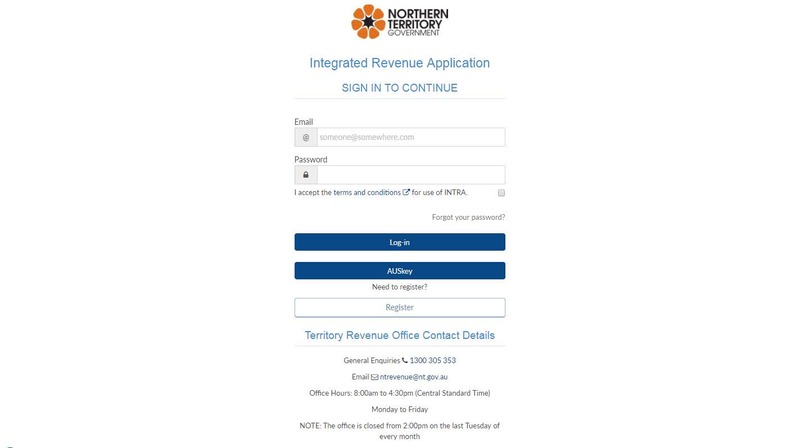 The Territory Revenue Office (TRO) will now process your request within 24 hours. 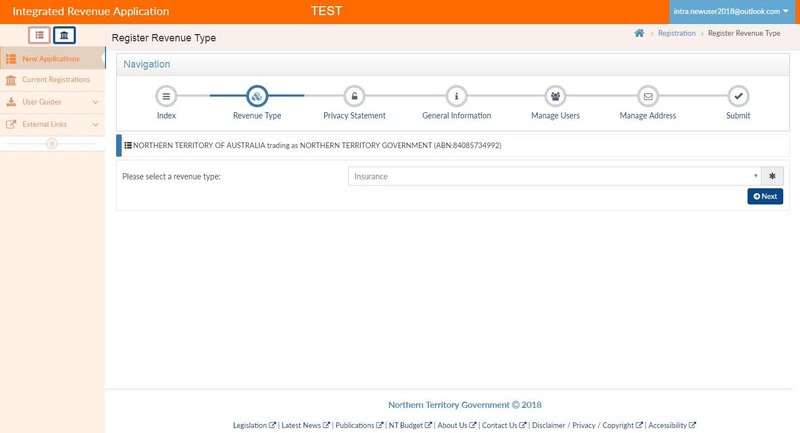 Once TRO staff have approved access, you will be notified by email and the entity details will appear in your Client Index Panel when you log in to INTRA. .
You are now able to lodge and pay insurance returns by selecting the relevant Action button.